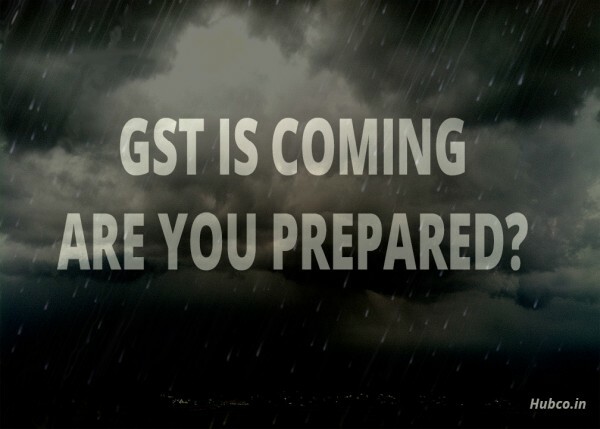 Prepare or Face Consequences - GST will not spare anyone! There was a time when people talk about the historic moments when Mars came closer to the earth and eligible to see from the naked eyes. But nowadays, when it comes to historical moment’s people talk about Goods and Service Tax (GST) in India. It is the biggest reform since independence and hence, the preparation needed for this tax will also be immense. Take my word very seriously because any default in GST regime will end you up paying huge penalties. “Mr. RAM is a supplier of a particular product which is exempted under GST. Mr.RAM exclusively deals in exempted product and not in any other product. His business was stable, so he thought of expanding it by a marketing technique. Mr. Ram announces that anybody buying his product will get another product worth Rs.3000 free. This is a common marketing technique people imply in their business. As said, this is a very ordinary corporate strategy people involve in their business. Now, we will explain you the implication of this simple marketing technique. Now, this is the thing we are talking about. Mr. Ram cannot imagine under which problem he is into. As per GST model law, he is not required to register since he was dealing in goods exclusively not liable to tax. However, by introducing the marketing scheme, he becomes a supplier of taxable products also. Since he is the supplier of the taxable and non-taxable product, he becomes liable to registration, returns and all other compliances like an average taxable person. He will be treated as a defaulter for not taking the registration and not filing the returns. There is a severe penalty for any default under GST. The maximum penalty for non-filing the return is Rs.5000 per return. As per GST, a minimum of 3 returns per month is required to be filed. i.e. penalty of Rs.15000 per month, Rs.180,000/- per year. Further, if anybody defaults in the filing of the annual return, then maximum penalty will be 0.25% of the total turnover, which will be huge. How to prepare it for GST? Assume it as a sales pitch or whatever you might think, but I would recommend you all to consult a professional for GST and don’t even try to do it yourself. Even, professionals are finding it difficult to implement and learn. GST is very complex, and it will take years to get shape into more tax friendly. However, till then we have to prepare ourselves so that we don’t end up having unnecessary litigation. 1. Explain your business well: Whosoever is your tax consultant, he can advise you well only if you tell the facts right. Remember, it is expert because he has command of the law but for facts he trusts you. So be sharp in explaining the every point about your business so that he will be able to advise you properly. 2. Update your current Invoicing and Accounting System: You got to change your invoicing and accounting software to manage the change as per GST law. People who work in excise law understands that how tax impacts the accounting and invoices process. Further, make sure you create tax invoice as per the rules. You can read the following article to know more about the tax invoice. 3. Training to Existing Staff: Human resource is the best resource one can count upon. However, there is one problem with the staff that they are rigid and not flexible. Hence, training is the most important part to get ready for GST. In the end, it is the people who run your company. Get them trained. 4. Understand the concept of Supply: GST is not only a tax reform but also a business reform as well. Under GST, taxes moves along with goods. Hence, now companies will have to maintain central warehouses to avoid being registered under every state. For e.g. Your Company has branches in 5 states, and you supply goods from all five states. Then as per GST law, you will need to take five registration and have to comply every procedural formality for each registration separately like return filing, record keeping. Hence, tax consultant will also work as a strategist for your company. 5. Understanding the rules and Taxable event:Taxable event means activities which create levy on the enterprise. For e.g. under the Sales tax, sales were the taxable event, under excise law, manufacture was the taxable event. Similarly, under GST law, the of goods and services is the taxable event. Hence, understand the taxable event, because you need to complete all the procedural formalities to remove the goods. This is not an end but only a beginning. The history is knocking the door, and we need to get prepared for it. If not, then GST will create a problem for all those who have not planned in advance. Mark my word; the world is changing, don’t just sit up, stand and deliver.